This year EA Sports began integrating Kinect for Xbox 360 functionality within several sports titles. Tiger Woods 13 was the first while Madden NFL 13 and FIFA 13 are soon to follow. 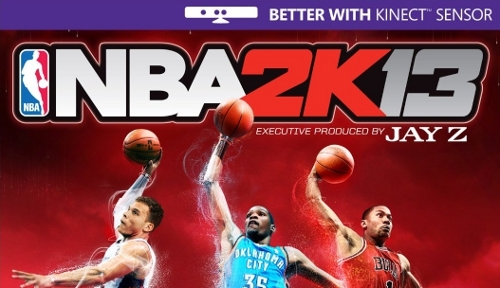 2K Sports is also looking to take advantage of the over 20 million Kinect systems out in the wild as NBA 2K13 will feature it as well. The retail listing on Amazon has given it away by the posting of the updated cover which was first noticed by 360Sync. While Kinect hasn’t done much for games built primarily around its functionality it has proven to be valuable in secondary ways. Team sports are particularly difficult to make motion controls work in a natural manner leaving the ability to translate voice commands much more useful. EA Sports has recognized that as both Madden and FIFA only utilize voice commands. NBA 2K has shown a distinct focus on building out the My Player career mode where motion controls theoretically would translate better however still few would find it an ideal scenario. The company has already attempted motion controls with the PlayStation Move and that never caught on as a viable way to play. It’s the potential of voice commands that would be much more valuable in NBA 2K13. The ability to call out plays, call for picks, make substitutions, change offensive or defensive sets, or even call for the ball or direct a teammate to shoot could be done without pulling up menus or pressing any buttons.